EAGLE LAKE, Maine — All Things Become New, an Eagle Lake based non-profit organization aimed at providing education about brain injuries and support for those who suffer brain injuries and their caregivers, will host its annual Spring Into Action walk/run fundraiser on Saturday, April 13. Mindy Forino and her mother, Suzanne Morneault founded the organization after Forino suffered a traumatic brain injury while playing soccer as a University of Maine at Fort Kent student athlete in 2010. 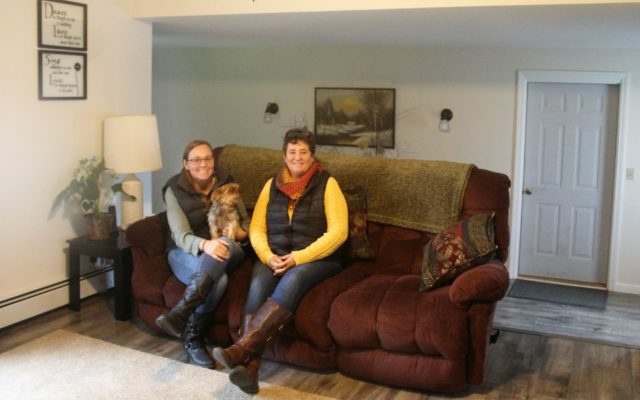 The mother and daughter opened a Haven of Rest home in Eagle Lake that provides free respite to caregivers and others in need of the peace and tranquility of northern Maine. The organization also provides brain injury support groups at Fish River Rural Health and Northern Lights A. R. Gould Hospital. Funds raised from the 2019 Spring Into Action event will help pay the mortgage on the Haven of Rest home. In recognition of their efforts, the Brain Injury Association of America-Maine awarded Forino and Morneault the Lewis and Clara Lamont Brain Injury Advocacy Award last October.